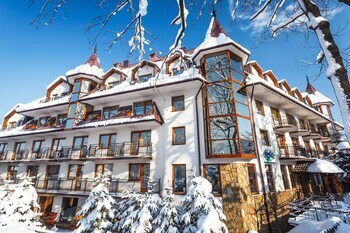 A stay at Hotel Litwor places you in the heart of Zakopane, within a 15-minute walk of Tatra Museum and Zakopane Aqua Park. Featured amenities include a 24-hour front desk and an elevator (lift). Self parking (subject to charges) is available onsite. A stay at this apartment places you in the heart of Poznan, within a 10-minute walk of Old Town Square and Musical Instrument Museum. Self parking (subject to charges) is available onsite.